[PT] O Top 25 dos ranking “The Most Popular Architecture Blog's” (MoPo 2008), dado a conhecer pelo fantástico Eikongraphia (em breve referir-nos-emos a este blogue de uma forma mais detalhada), deixou de fora o blogue anArchitecture, ainda que o refira. Contudo na nossa opinião, anArchitecture é definitivamente um dos nossos blogues de referência sobre arquitectura mundial. Desta forma parece-nos a altura mais correcta para o declararmos blogue do mês. Desenvolvido pelo austríaco Christoph Wassmann desde Junho de 2003, este blogue dedica-se à arquitectura e pensamento arquitectónico. Recordamos frequentemente o texto sobre os concursos Europan e sobre o nosso sistema de estrelas "Ganha um estágio nos UnStudio" ou "O Proletariado da Arquitectura". [ENG] The Top 25 rank of “the Most Popular Architecture Blog's” (MoPo 2008), revealed by the fantastic Eikongraphia (we will be back soon to this blog), left out anArchitecture, although referring to it. However anArchitecture is definitely one of our favorites blogs about world wide architecture, and it seams to us this is the correct time to declare it blog of the month. 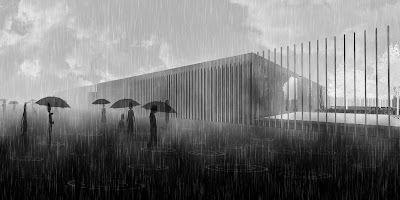 The Austrian Christoph Wassmann started anArchitecture in June of 2003 launching a blog dedicated to "architecture and architectural thinking". We do remember quite so often his posts about Europan competition or the posts about our star system's world "Win an Internship at UNSTUDIO" and "The Architecture Proletariat". [PT] O Mais Gasolina é um directório interactivo de postos de abastecimento de Portugal, com a localização de vários postos, o preço actualizado dos combustíveis e outras informações úteis para quem anda na estrada. Pode assim de uma forma simples através da navegação num mapa ou num directório de dístritos, concelhos e localidades encontrar um posto de abastecimento ou comparar preços para encontrar o posto mais barato da sua região. [PT] De Tóquio a Lisboa. Cruzamento diários. Obrigado pelo aviso Sara. [ENG] From Tokio to Lisbon. One daily photo. Thank you Sara. [PT] Marcus Fairs num post sobre o artigo da Time intitulado “The people and ideas behind today’s most influential design” - The Design 100, também faz referência ao nosso blogue. [ENG] Marcus Fairs, in a post about Dezeen being on Time magazine’s guide to “The people and ideas behind today’s most influential design” - The Design 100, also references our blog. 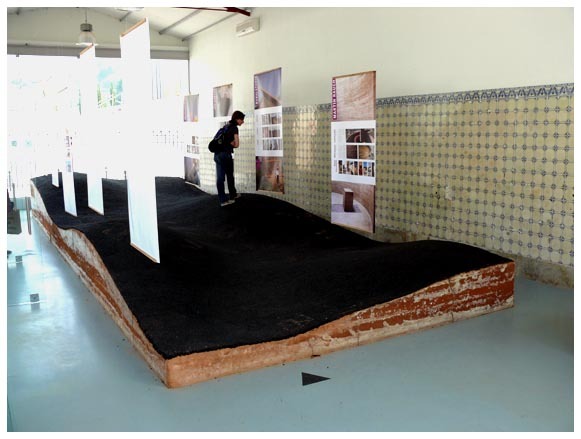 [PT] Um dos projectos #039, as eco-habitações, vêm publicadas na revista "Attitude" nº 21, como "Nova Arquitectura". 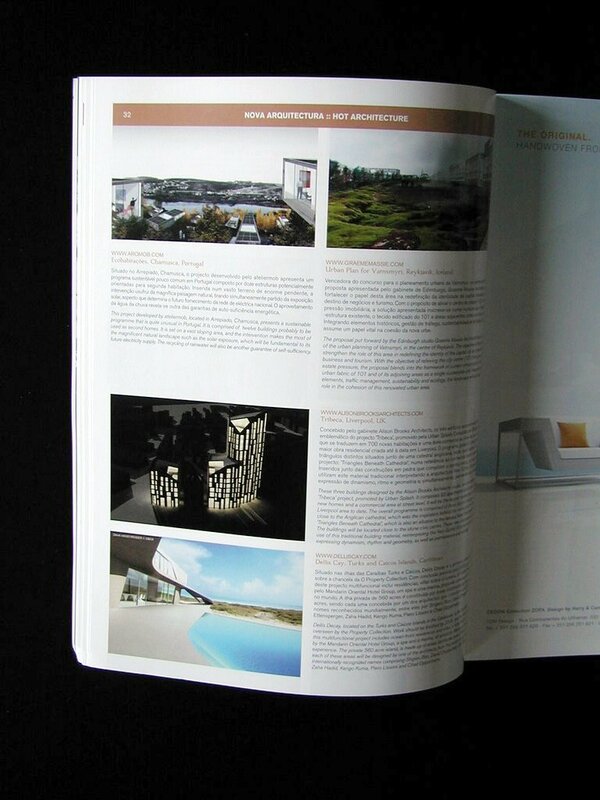 [ENG] One of #039 projects, the eco-housing, was published on "Attitude" nº 21, in "Hot Architecture" section. "Welcome to the London Festival of Architecture 2008, a celebration and exploration of the city's buildings, streets and spaces - with over 600 exhibitions, lectures, public space installations, guided walks, cycle rides, boat tours, parties, design workshops, debates and talks. The buzz of activity over the month of the Festival will move across five key 'Hubs', with large-scale public events taking place in a different Hub each weekend. This massive programme reflects the amazing vitality of London’s architectural scene. The theme of this year’s Festival is Fresh! – we are exhorting visitors to take a fresh look at London, to indulge in fresh thinking, to enjoy the fresh talent on show and the fresh air of the walks and rides. With the Olympics on the horizon, the Festival celebrates London as a creative hub, a focus for international debate and as a city transformed. Peter Murray, Director LFA 2008"